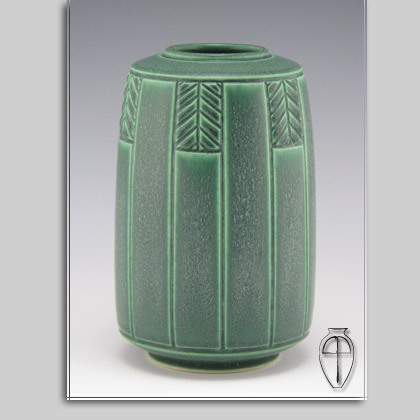 6″ form with 6 prairie style panels around the form. Shown in my Forest Green glaze. I have one these left in Brown Leather. It’s the last.